Claydon Drills, has announced a 10% early order discount, plus two years 0% finance, on all of the company’s new drills, straw harrows and rolls. The offer* applies to orders placed with Claydon and participating dealers by 31 March 2016. Claydon claim its Strip Seeding System sets the benchmark and enables farming businesses to minimise establishment costs, improve timeliness and maximise yields, generating an overall return which is approximately £150/ha higher than for conventional establishment methods. 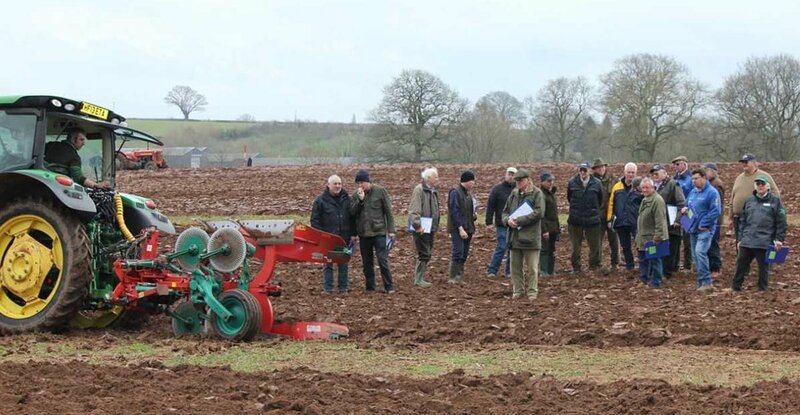 The Claydon Hybrid mounted drill, is available in widths of 3m, 4m, 4.8m and 6m, providing seasonal outputs of up to 700ha, 1000ha, 1200ha and 1500ha respectively. The mounted drill is joined in the company’s range by the 3m mounted seed and fertiliser drill, which enables farmers to choose whether to place fertiliser below the seed or in a band above the seed, together with the latest Hybrid T trailed drill, in 4m, 6m and 8m versions. Claydon Straw Harrows are available in widths of 3m, 7.5m and 15m, while Claydon Rolls offer working widths of 6.3m, 8.3m or 12.3m. Claydon estimate that a 500ha farm using the complete Claydon System would spend £25,500 (£51/ha) on crop establishment, compared with £74,000 for a conventional plough-based system (£148/ha) and £56,000 (£112/ha) for min-till, taking into account machinery running costs, diesel, labour, wearing metal and depreciation. In addition, timeliness is vastly improved as it takes just 26 minutes to establish one hectare using the Claydon System, compared with 42 minutes for one based on min-till and two hours for a conventional system.